1. PopSugar. This is the OG Original Subscriptiom box. I’ve subscribed for years and continue to love it. My mom kindly pitches in for a year sub every December–best birthday gift ever. 2. Fancy Box. I used to get the Coco Rocha box and the box curated by Jennifer Love Hewitt. Fancy Box stopped their subscription service a while after I cancelled my subs. I started getting too many repeat products. 3. Birchbox. I received this for 6 months but decided I liked Ipsy a bit better. 4. Ipsy. I think Michelle Phan has something to do with this subscription deluxe makeup sample mailing. I love the metallic fuchsia bubble mailer that shows up in my mailbox monthly and I have the zipper pouches stashed everywhere. 5. Goldbely. You may have seen a review to this food exploring monthly sub box on this site. If not, check it out here. 6. Quarterly Co. I still subscribe to the BookRiot box which is delivered more regularly than the Pharrell Williams box which I also get, though I’ve learned it has been paused indefinitely. 7. Letters in the Mail. The Rumpus sent out photocopied letters from writers, celebrities, and other notable people every couple weeks. I subscribed to this for a year but got overwhelmed by unread letters tucked between the car seats and stacked on my nightstand. I’m sure I’m missing a couple subscriptions here. My sub affinity borders on addiction, especially for a non-hoarder like me. Where do I stash all of this stuff? 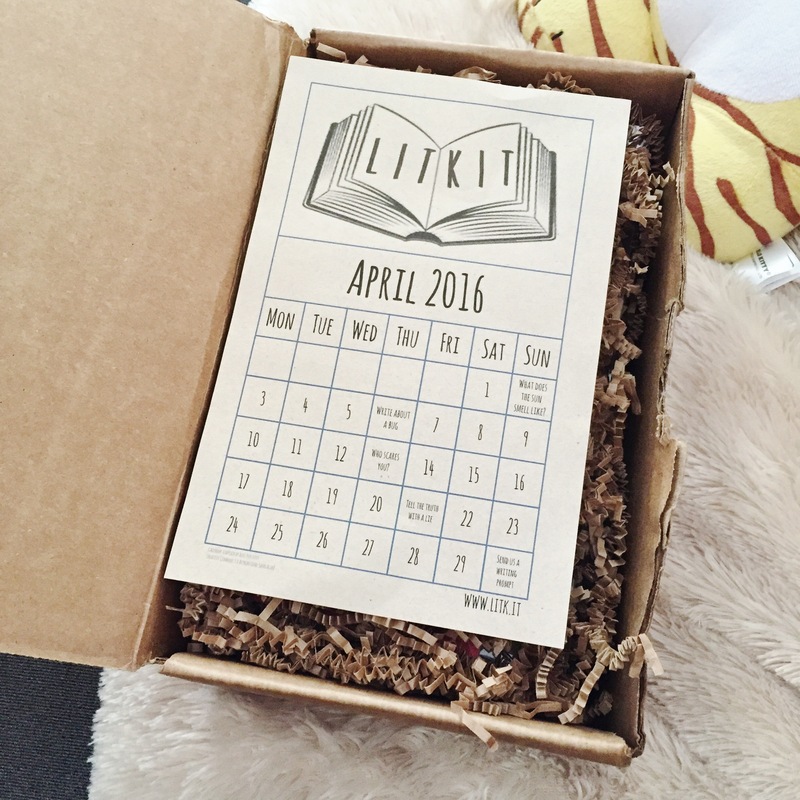 I did a quick search and found that LitKit had a crowdfunding campaign and just recently started delivering boxes. The one I got in the mail today might be just the 2nd or 3rd box they’ve released. Admittedly, I’m jealous of February LitKit subscribers (“LitKittens?”) because they got rad wax seal sets in their boxes. I wonder if anyone has every called wax seals “rad” before. Here are my first looks into the box..
I’m a fan of that brown crinkly packing material. 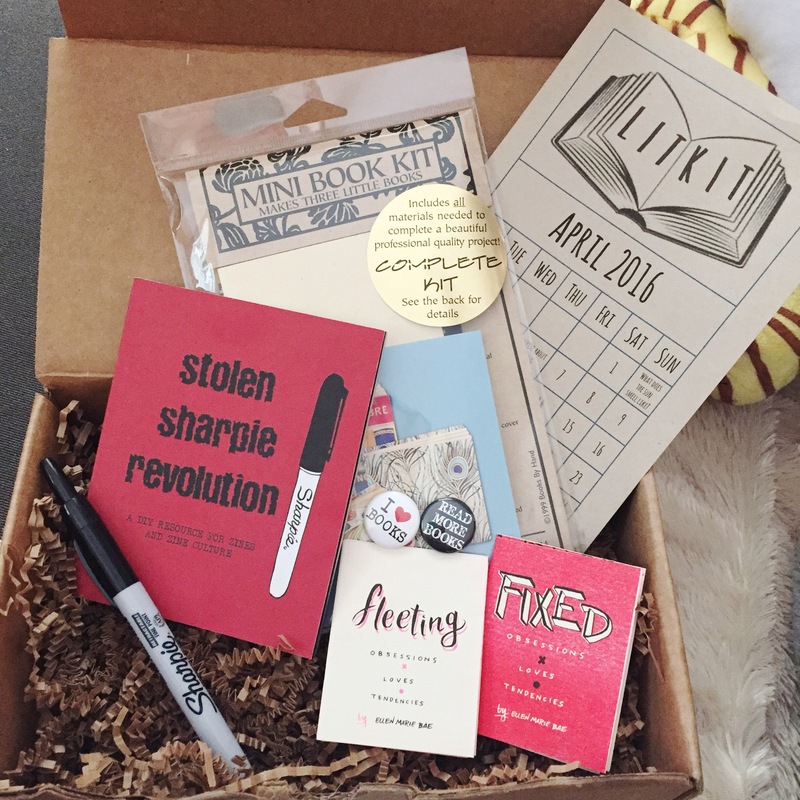 The duo behind LitKit curate boxes of indie and experimental reading materials from small presses and lesser know authors, along with unique lit-related goods. The March 2016 box had a zine theme and included a tiny bookbinding kit, a couple flair pins and a couple zines from Ellen Bae. 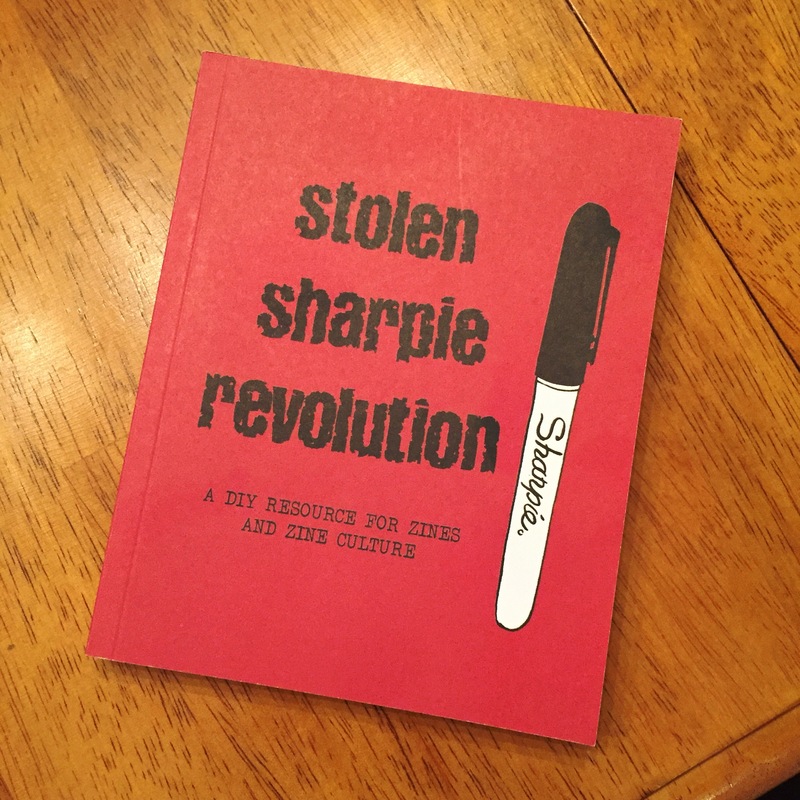 This book, Stolen Sharpie Revolution, was included..a zine-making bible. And to emphasize the thoughtfulness put into this box, LitKit threw in a retractable black Sharpie. The box costs $37.00/month unless you sign up for a chunk of months at once. Shipping is included. If you’re looking for value in the form of pricey items adding up to more than $37.00, this box may disappoint you. I signed up because I like experimental writing and discovering emerging artists. That isn’t so easy to do in Colorado Springs, so why not let San Francisco-based LitKit do the work for me. This box is unique, feels special, and I see myself hanging on to the subscription for at least a few more months..maybe longer. 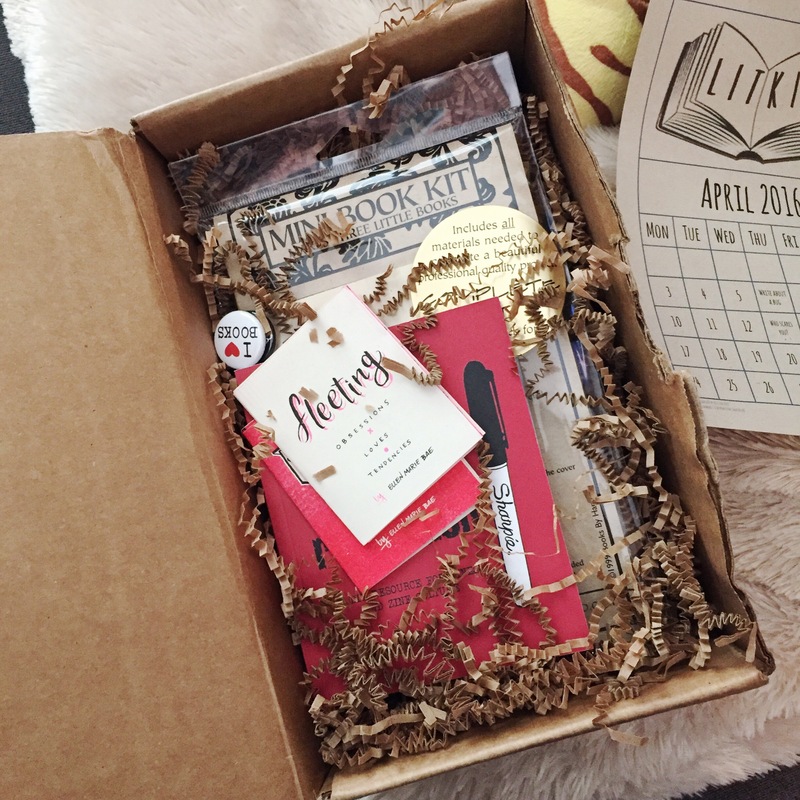 What is your favorite subscription mailing? I’m always ready to feed my obsession.